While growing up, Dr. Anne-Marie was an avid athlete and made many visits to her family chiropractor to recover from injury. 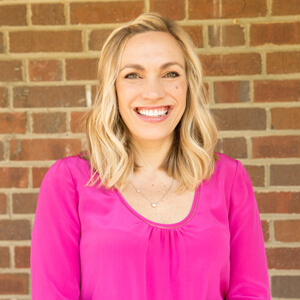 After working in a chiropractic clinic and witnessing firsthand the life-changing benefits and miracles of chiropractic, she decided to make chiropractic her life’s calling, and attended chiropractic college at Life University in Atlanta. Dr. Anne-Marie delivers high-quality chiropractic wellness management to patients wishing to eliminate their pain, optimize their function and enjoy the many benefits of an active lifestyle. At Compass Family Chiropractic our treatment is specific, gentle and results-oriented; our care is always about you. Dr. Anne-Marie has extensive training in multiple techniques and has taken hundreds of hours in postgraduate coursework. She specializes in pediatrics, pregnancy, nutrition, sports performance and injury prevention. Dr. Anne-Marie is married, and she and her husband enjoy travel, adventure, tennis, basketball and the great outdoors. She’s a big yoga fan and also loves to spend time with her rescue dog, Luna. She’s a member of the International Chiropractic Pediatric Association (ICPA), as well as the Dunwoody Chamber of Commerce. Dr. Anne-Marie is excited to serve and educate Dunwoody community members on the principles of natural healing and gentle chiropractic care. Want a healthier, happier and more productive life? Contact us today; we can help!